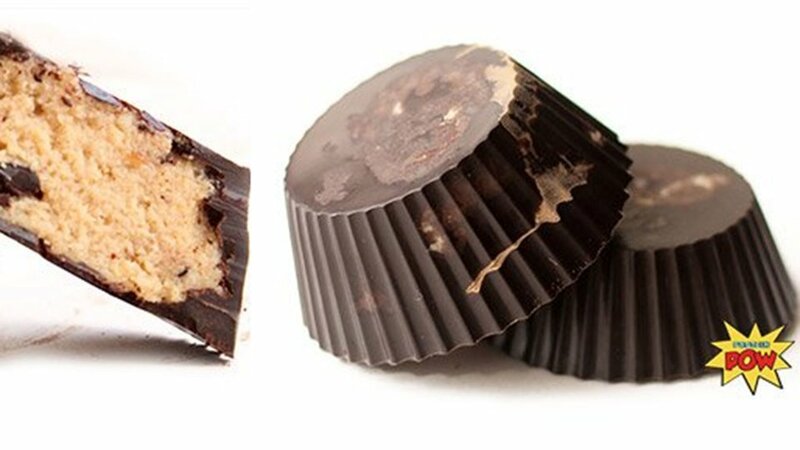 Skip the saturated fat and keep the flavor with these protein-packed, guilt-free protein peanut butter cups. Your taste buds and muscles will thank you! Mix all the filling ingredients together until you get soft dough. Taste it to make sure it ticks all your boxes—flavor, taste, and texture. If you want to play around with the flavors at this stage, go for it! You can add some cinnamon, a bit of vanilla essence, orange zest, etc. Concoct a mixture that makes your taste buds sing. Melt 1/4 of your dark chocolate bar in a bain marie, or a glass bowl on top of a pot of boiling water. Once your chocolate has melted, pour half of it into two or four muffin cups, depending on how tall you want to make your cups! Place them in the freezer for 10 minutes, or until the chocolate sets. Add your protein filling on top. Finally, melt and pour the remaining chocolate onto the mixture in your molds. Stick them in the freezer for 30 minutes. Eat and go to heaven!